The “Hallgarten-Franchetti Centro Studi Villa Montesca” foundation, also called “Fondazione Villa Montesca” and “Fondazione Centro Studi Villa Montesca” carries on the tradition of the Centro Studi e Formazione Villa Montesca founded in 2001 at Villa Montesca where in 1909 Maria Montessori organized a seminar that gave birth to the first publication of the scientific pedagogic method universally known as the ‘Montessori Method’. Continuing the tradition of Alice Hallgarten and Leopoldo Franchetti in the fields of innovative teaching methods and social work the Foundation aims at developing and enhancing the activities of Villa Montesca, also by promoting the cultural heritage and scientific legacy of Baron and Baroness Franchetti particularly in science education and other cultural experiences carried out in Europe, given the importance of the legacy of the rural schools of Montesca and Rovigliano. The Foundation is nowadays internationally renowned for top quality research and training in teacher training, information technology and communication, education for European integration and regional cooperation in the field of education and culture at local, regional and European level. The Foundation has a vast experience in managing interdisciplinary project teams composed of researchers from universities and other educational organisations. It has an important role at regional, national and European level in the development and promotion of lifelong learning as a tool for improving and strengthening social and work opportunities following the main recommendations of the EU Commission “It is never too late to learn” and “It is always a good time to learn“. The aim of our activities is to help establish an efficient educational system which can help to overcome the barriers to education/training, speed up the recognition of learning outcomes achieved in formal, informal and non-formal approaches in order to encourage active participation in the learning process also by those people who, owing to marginalization, may be excluded from it. The HU University of Applied Sciences Utrecht is an ambitious university in dynamic surroundings. As a university of applied sciences, we provide education and conduct research. We train – future – professionals who are highly in demand in the labour market and are inextricably tied to the Utrecht region. The link between education, research, and the professional world enhances our regional impact. The University of Algarve (UAlg), created in 1979, is a Portuguese public higher education institution located in the southern region of Portugal, the Algarve, having four campi, Gambelas, Penha and Health, in Faro and another campus in Portimão. With more than 8500 students registered in 2015/16, UAlg has teaching and research as its core activities in different scientific areas: science and technology, management and economy, earth and marine sciences, social sciences and more recently health. The University of Algarve operates 51 graduate and 107 postgraduate programmes (82 MSc and 25 Phd) counting with 768 permanent teaching and research staff that developed a significant number of research projects. The scientific groundwork of the UAlg is developed around four main areas (Sea, Health, Food and Well-Being, Arts and Heritage and Tourism) that along with all international cooperation projects and research work aim at turning innovative ideas that contribute to the excellence of the University. In terms of International mobility programmes, UAlg participates in the Erasmus programme since 1993 and holds an Erasmus Charter. The internationalization of UAlg is well proven by the successful coordination and partnerships in numerous projects under cooperation programmes such as Lifelong Learning Programme (Erasmus, Leonardo da Vinci, Grundtvig, Comenius), Erasmus Mundus (EMA1 and EMA2), Tempus, Alfa, Atlantis, Edulink and Erasmus+ (KA1, KA2 and KA3). UAlg has also signed more than 150 bilateral agreements with HEI all over the world. CESIE is a non-governmental organisation, established in 2001, inspired by the work and theories of the Italian sociologist Danilo Dolci (1924-1997). CESIE contributes to the active participation of people, civil societies and institutions through the implementation of projects on various thematic areas, towards the promotion of growth and development, always valuing diversity in the respect of ethics and human development. Our MISSION is to promote growth through innovative and participative educational approaches. As a European centre of Studies and Initiatives, the organisation is dedicated to the promotion of research and development so as to increase and improve future-oriented innovation processes in educational, social, economic and cultural spheres believing in the cross-cutting of organisations cooperating within heterogeneous fields and sectors. The Training Centre Ria Formosa (School Association of Municipalities of Faro and Olhão) was created in 1993 and resulted from the association decision taken by the schools of those municipalities. The Training Centre Ria Formosa is a public body under the Ministry of Education based in Secondary School Group João de Deus in Faro. Being a centre in the management, coordination and promotion of training of teachers, it meets situations and training needs of different educational agents and investment arising from the development of the education system. Maharishi School is based on Consciousness-based Education founded by Maharishi Mahesh Yogi and includes the daily practice of Transcendental Meditation Our pupils delight visitors from all over the world with their remarkable eagerness for knowledge, their happiness and profound grasp of the deepest principles of life. These pupils exhibit a beautiful balance and wholeness that is rarely seen in other schools. 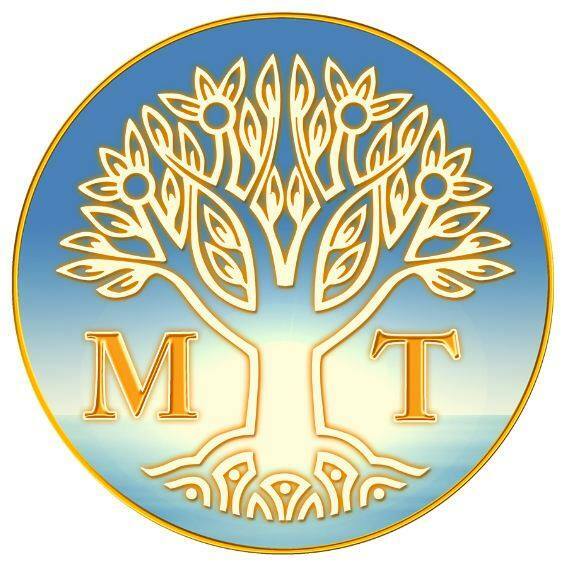 The purpose of Stichting Maharishi Onderwijs Nederland (Foundation Maharishi Education the Netherlands) is to have schools in the Netherlands where all the children enjoy Quiet Time with Transcendental meditation. In the Dutch school system the primary school has children 4-12 years of age. The aspect of knowledge and learning (what you know) is important in each school, but a Maharishi school also puts a strong emphasis on the knowledge of who you are – and how you can develop this from the quietness within yourself. Meditation helps create a friendly and joyful atmosphere, which supports the students in their personal development. 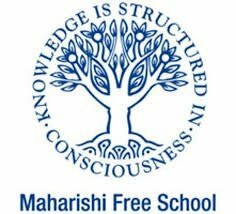 Maharishi Foundation is an educational charity or trust, established in August 1975 and has been registered with the Charity Commission of England and Wales since October 1975 (registered number: 270157). The aim of the charity is to advance the education of the public by offering courses and services of the highest quality to develop the full mental and creative potential of the individual. Named after its founder, Maharishi Mahesh Yogi, the Foundation offers courses in Transcendental Meditation, and is the only official organization to offer these courses in the UK. More than 200,000 people from all walks of life have learnt TM in the UK over the last 40 years. 60 Centres across the country offering TM courses to the public. 450 TM teachers of whom about half are currently teaching regular courses. TM teachers have between them a very wide range of teaching experience in different settings. While many teach individuals from the general public (including the homeless), others have taught TM in schools, colleges, businesses, health care institutions, hostels for the homeless and in prisons. Encouraging and supporting independent academic institutions to carry out scientific research into the benefits of Transcendental Meditation and its advanced techniques. Sale of natural herbal products from the ancient knowledge of prevention oriented healthcare known as Maharishi AyurVeda. 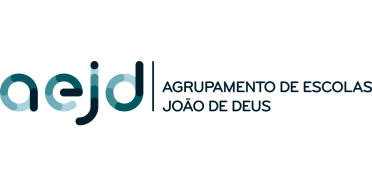 APEJAA (Parents Association of EB2/3 João Afonso de Aveiro) has as main purpose to support and represent Parents of this School seeking to contribute to the construction of a lively, qualified and happy Education Community. APEJAA is made up of parents who voluntarily seek, together, an organised way of contributing to the success of their schools and their students, both as members and as active members of the governing bodies. As a parent association of the João Afonso de Aveiro Preparatory School, it has existed since 1976, being one of the oldest in the country. In 2016 APEJAA has regularised its situation in view of the legislation in force to accompany the change of name of the School to the current nomenclature. The EB2 / 3 João Afonso de Aveiro currently responds to 810 students divided into 33 classes and the respective Educational Community. The Coop Cultural Maharishi aims to expand and impart all Maharishi Mahesh Yogi’s Vedic Technologies for the benefit of Society and Mankind, thus promoting societal coherence, well-being and and a better quality of life in Portugal, effortlessly and irrespective of any belief system, as Transcendental Meditation, Maharishi Ayurved (Health), Maharishi Sthapatyaved (Arquitecture), The TM-Sidhis (Yog) and Yagya. Maharishi Institut för Kreativ Intelligens (MIKI) is an educational charity registered at Skatteverket in Sweden number 802004-3637 which was founded in 08-02-1978. The objects of the charity are advancement of the education of the public by: (1) offering courses to the public that will promote the mental and creative development of the individual including Transcendental Meditation and related advanced techniques (2) establishing, conducting and maintaining an institution of further education and additional educational facilities (3) making grants to other charities. 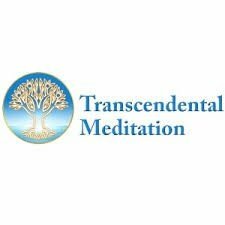 More than 85000 people have learnt Transcendental Meditation since the charity was founded and there are about 30 active teachers across the country offering courses on a regular basis. 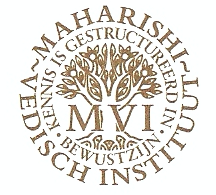 Maharishi Vedic Institute (MVI) is a non-profit foundation that was founded with the purpose to offer courses and services of the highest quality to the public, to develop the full mental and creative potential of every individual through Transcendental Meditation, its advanced techniques and knowledge programmes as taught by Maharishi Mahesh Yogi. MVI is the only organisation with the license to offer these courses in the Netherlands.